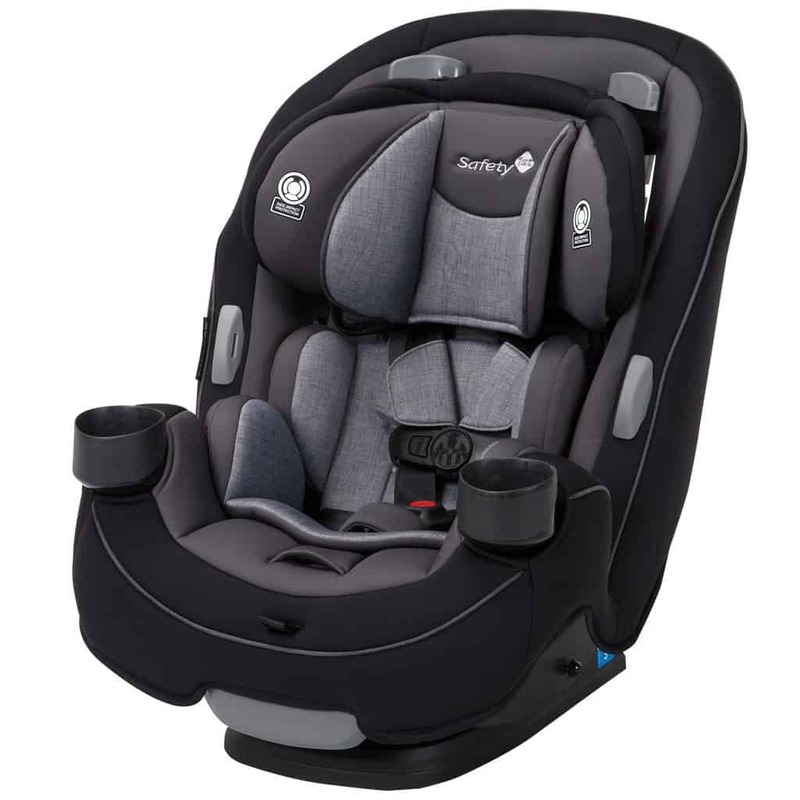 If you live in an area that requires you to drive a lot, you will need to find a good car seat for your child. 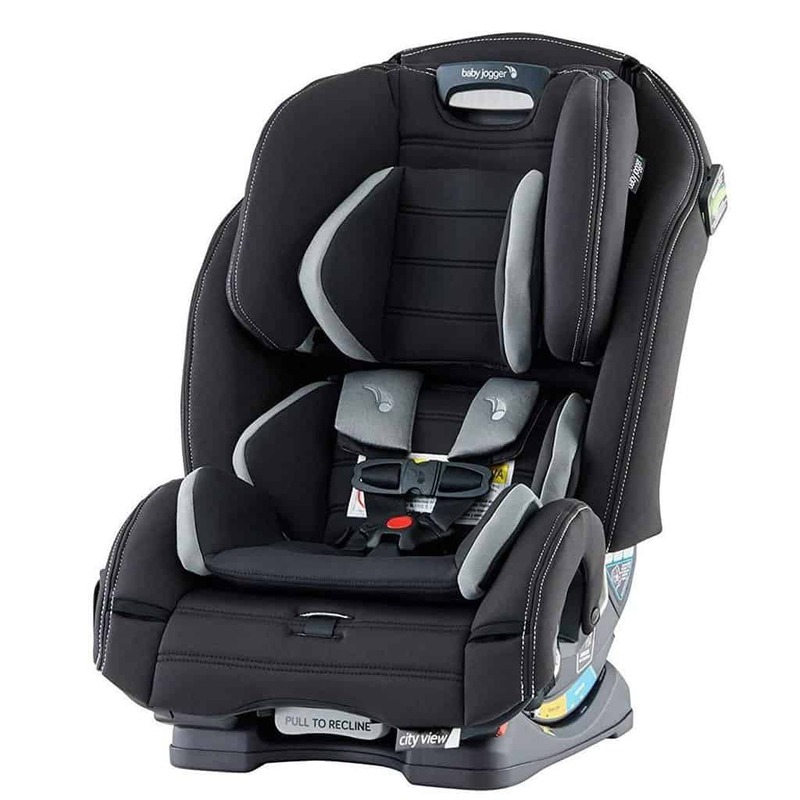 However, it can be a pain to have to find a new car seat every few years as your child grows and their current car seat can no longer support them. What you want is a convertible car seat, but not just any convertible car seat. You want a car seat that can also be used as a belt positioning booster before they are ready to sit in the car without the assistance of a special seat. 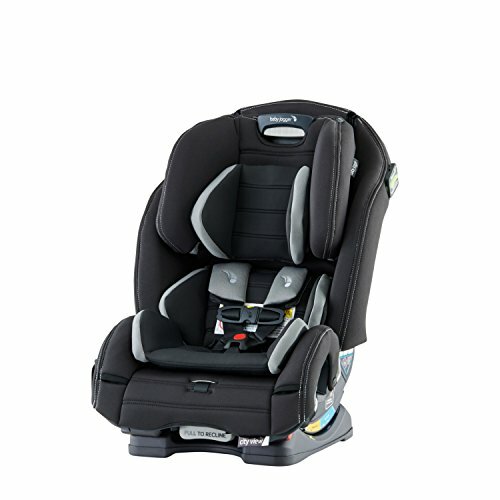 And the Safety 1st Grow and Go is an excellent choice for a 3-in-1 convertible car seat. The Safety 1stGrow and Go convertible car seat is ideal for parents who don’t want to buy multiple car seats as their child grows. 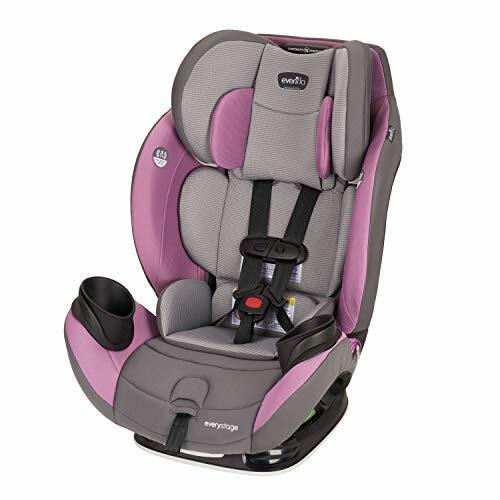 With the 3-in-1 design, you can use it right from the get-go as a rear facing seat (minimum 5 pounds) and transition to a forward facing seat as well as belt positioning booster. With the QuickFit harness, there is no need to fuss with harness adjustment as your child grows. The harness is integrated right into the head rest, so the height adjusts easily without needing to rethread throughout the years. You can also count on quality materials with this car seat. There is plenty of cushion to keep your baby comfortable and safe. The seat liner is also very soft and easy to remove and clean (machine wash and dryer safe) when messes are made. The Safety 1stGrow and Go car seat is sure to last you many years thanks to its extended weight limit. 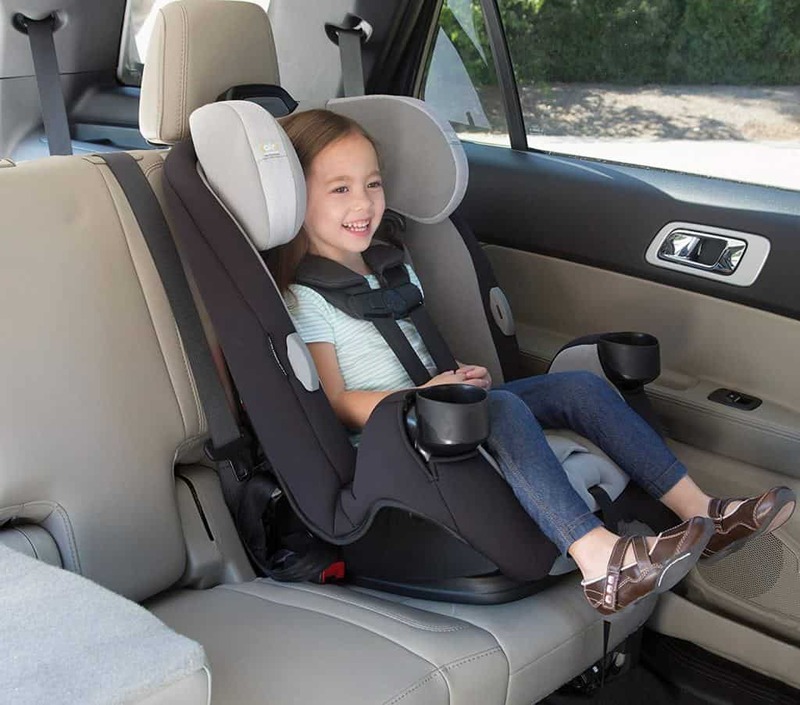 You can use it right from birth – with a minimum of 5 pounds and maximum of 40 pounds – as a rear facing seat. Forward facing supports 22 to 65 pounds and the belt positioning booster option covers 40 to 100 pounds. The Safety 1stGrow and Go car seat fits in most vehicles very comfortably, though it may still be a tight fit in small cars. Thanks to its smaller footprint, passengers can enjoy more leg room when it is installed in the rear facing position. 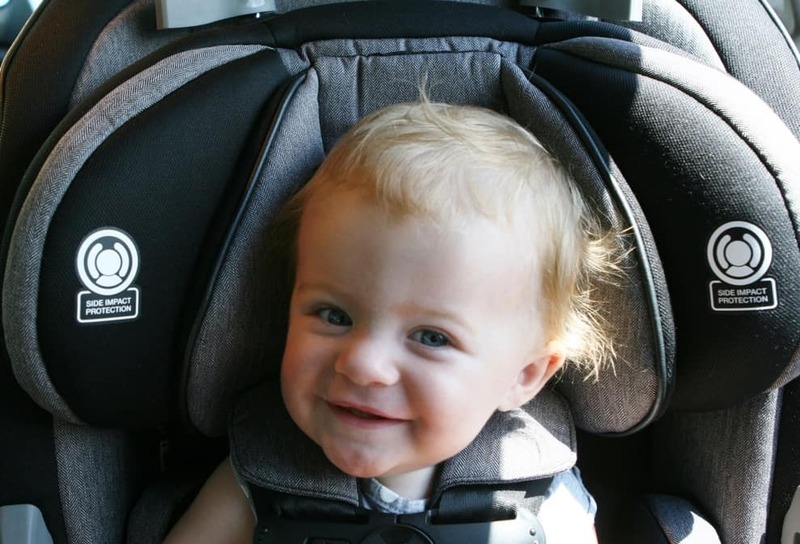 There are two possible positions that the Safety 1stGrow and Go car seat can be installed: rear and forward facing. You can also install it one of two ways: with your car’s seat belt or with the LATCH anchoring system. It is always safer to use the LATCH system, but some may choose to use a locking seat belt as the LATCH straps are difficult to tighten. 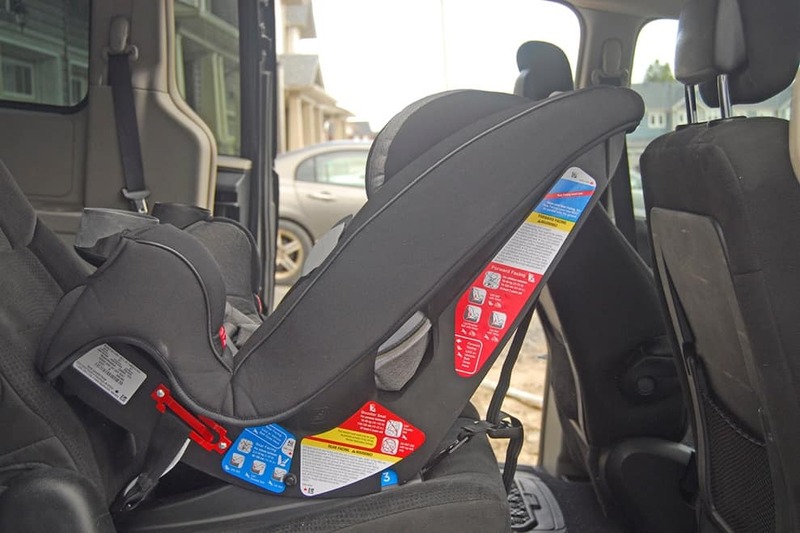 It can be a pain to adjust a car seat harness, especially when the car seat is already fastened inside the car. In order to rethread it, you need to practically install it all over again. However, with the Safety 1stGrow and Go, adjustment is easy with the QuickFit harness. The harness height simply adjusts with the headrest; no need to reinstall or rethread. 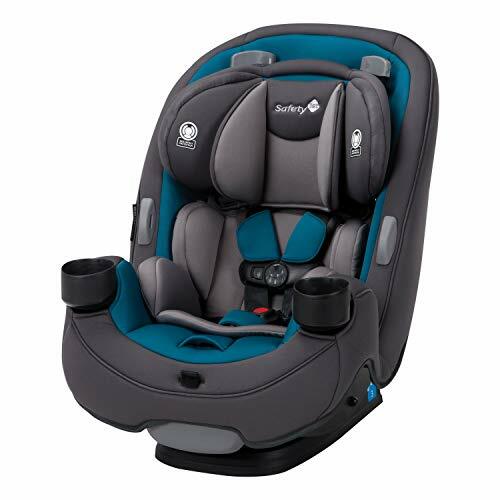 All of the safety features on the Safety 1stGrow and Go convertible car seat either meet or exceed the federal, ASTM, and JPMA safety standards. With side impact technology and thick padding, your child will be safe in the event of an accident. Car seats are notoriously messy. Thankfully, the Safety 1stGrow and Go is easy to clean. The cover and seat pad remove completely and are machine washable as well as dryer safe. No need to worry about special cleaning instructions or the cover not fitting after going through the wash. In addition to the features already mentioned, the Safety 1stGrow and Go car seat has a few other features worth noting. The integrated cupholders are hand for keeping your child’s drink and snack close by. Harness holders also make it easier to get your child in and out without having to wrestle the harness and buckle out from under them. 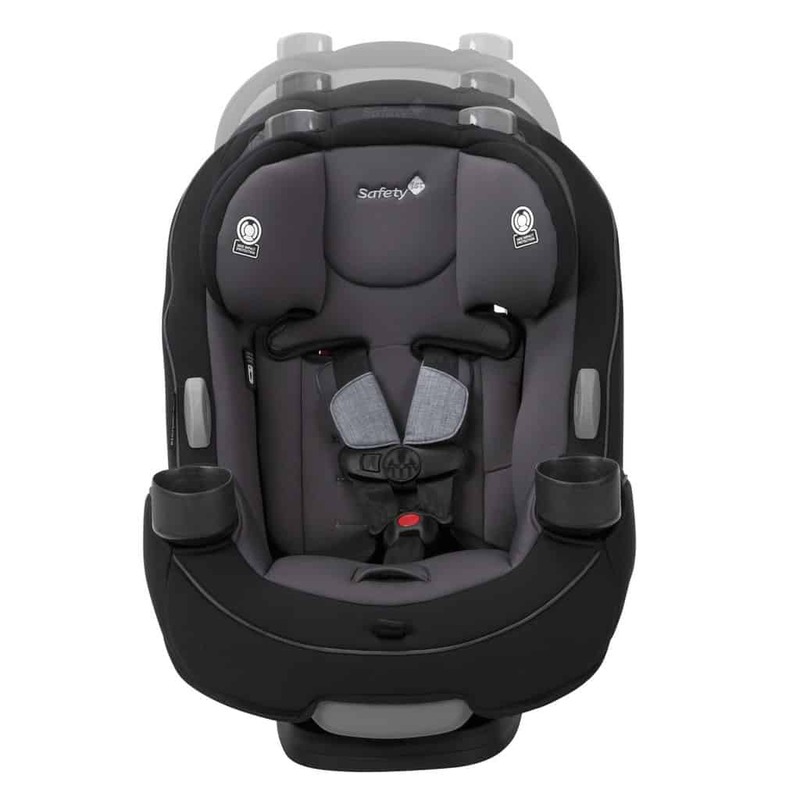 The Evenflo EveryStage LX is an all-in-one convertible car seat that offers up to 10 years of use with your child. It claims to be the only seat you will ever need as your child grows, taking them from infancy right up until they are ready to sit in the car without any seat assistance. Compared to the Grow and Go, this car seat has a slightly higher weight limit, covering up to 120 pounds compared to 100. It also allows rear facing for longer, up to 50 pounds rather than 40. On the other hand, this car seat is slightly heavier than the Grow and Go (22 pounds compared to 18.7 pounds. 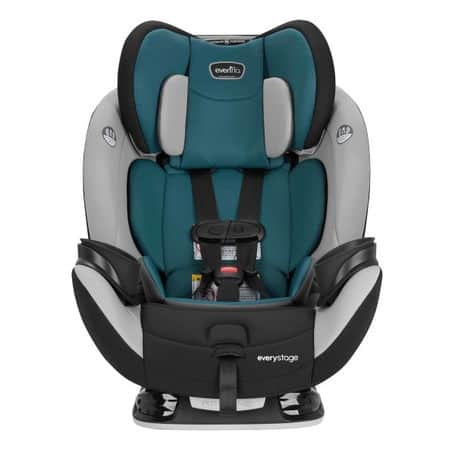 RELIABLE ALL-IN-ONE CAR SEAT: The Evenflo EveryStage LX all-in-one car seat features an innovative EasyClick LATCH system that easily ratchets to achieve a tighter installation for a wiggle-free seat and superior protection. INFANT + BOOSTER + CONVERTIBLE: This all-in-one car seat is a genuine 3-in-1 solution. It can be used as a rear-facing harness, forward-facing harness, and belt-positioning booster that provides a safe and secure ride for up to a decade. CUSTOM CRADLED FIT: The LX All-in-One includes a proprietary in-seat reclining feature that provides enhanced support. This comfortably angles your child to minimize head slump while helping keep his airway open. 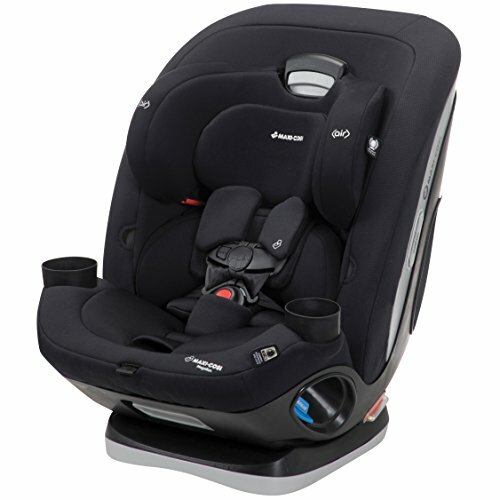 Another great car seat that is comparable to the Grow and Go is the Baby Jogger City View. They both support 5-100 pounds as your child grows. 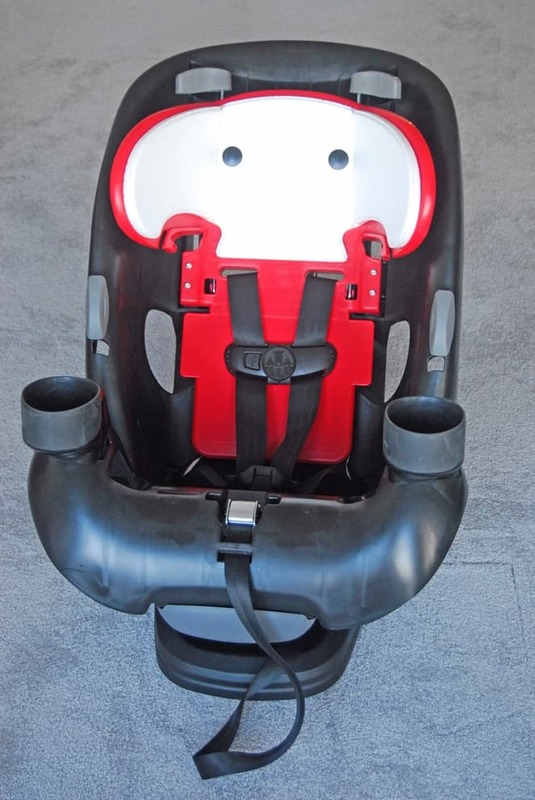 The Baby Jogger also has a head rest that adjust the harness height with it. Overall, the Baby Jogger’s size is narrower, so it would be easier to fit three across if you need to. The additional safety of the anti-rebound bar when installed rear facing is an added bonus. The biggest downside is the cost. It is very expensive, so some parents may not want to or be able to spend that much at one. 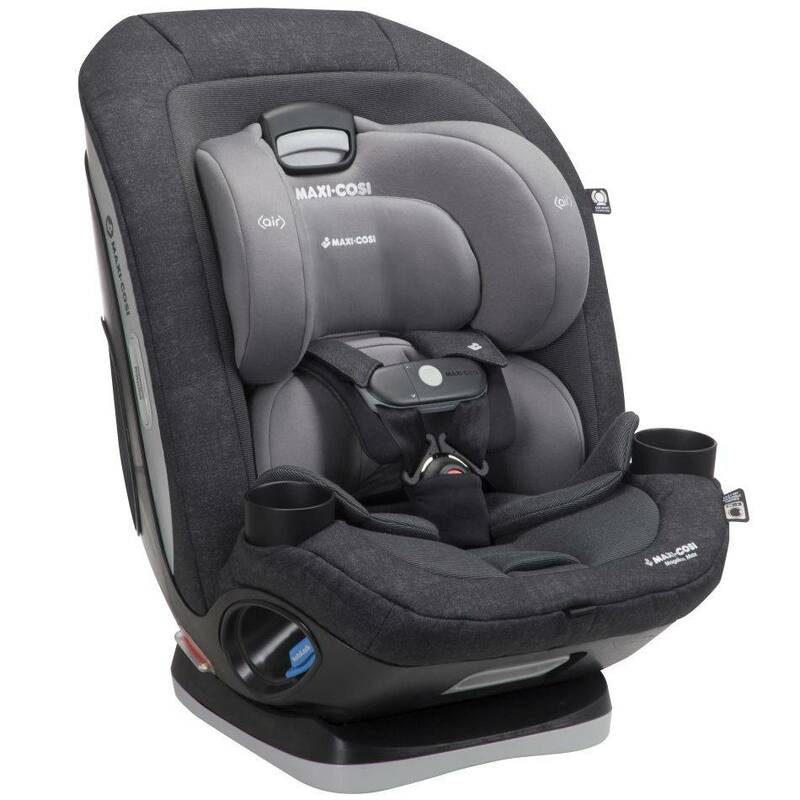 The Maxi-Cosi Magellan convertible car seat is definitely a premium choice for parents who only want one car seat for their child. There are several quality features – including seat belt lock offs or one click LATCH system for installation. It can also support up to 120 pounds, growing with your child for the first 10 years of life. Superior side impact protection also helps you rest easy knowing that your child is safe. However, with all of these bonus features, this car seat costs nearly twice as much as the Safety 1stGrow and Go. 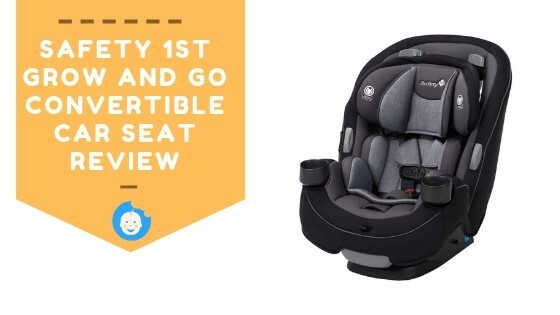 If you are looking to make a single car seat purchase for your child, a car seat that will last them for years to come, the Safety 1stGrow and Go is an excellent choice. It is affordable and can be used for several years thanks to its ability to convert into a belt positioning booster seat in addition to the standard rear and forward facing positions.